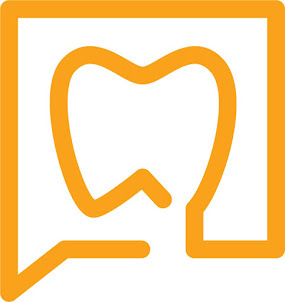 Two recents studies published highlight some of potential applications of CBCT in endodontics. The first study by Tsai et. al. supports our clinical experience with CBCT, that it is more effective than traditional periapical films at detecting small lesions. This study was designed to test the effectiveness of CBCT in detecting very small apical lesions created using small burs on human cadavers. It also compared the Kodak 9000 3D (now called Carestream with the demise of Kodak) and the J. Morita Veraviewepocs 3De. This study showed that both CBCT units were fair-good at detecting simulated lesions with a diameter between 0.8-1.4mm and excellent accuracy with simulated lesion >1.4mm diameter. Traditional periapical films were poor at best, in detecting lesions of these sizes. Another interesting find in this study was that there was no statistically significant difference between the two CBCT units evaluated. 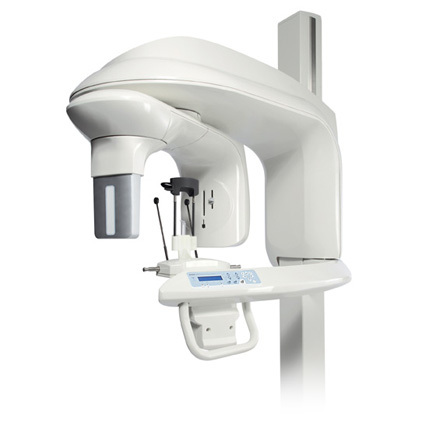 These two CBCT units are by far the most common in use by endodontists because of there focused field size, lower radiation dosage and high resolution. The second study by Jeger et. al. indicate that CBCT may be an effective tool for measuring working length in anterior teeth compared to electronic apex locators. 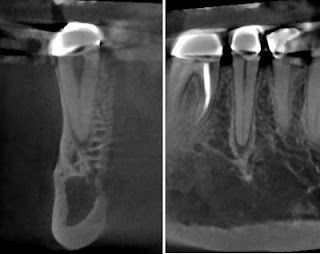 The patients in this study had previously received a CBCT and then required endodontic treatment on an anterior tooth included in the scan. 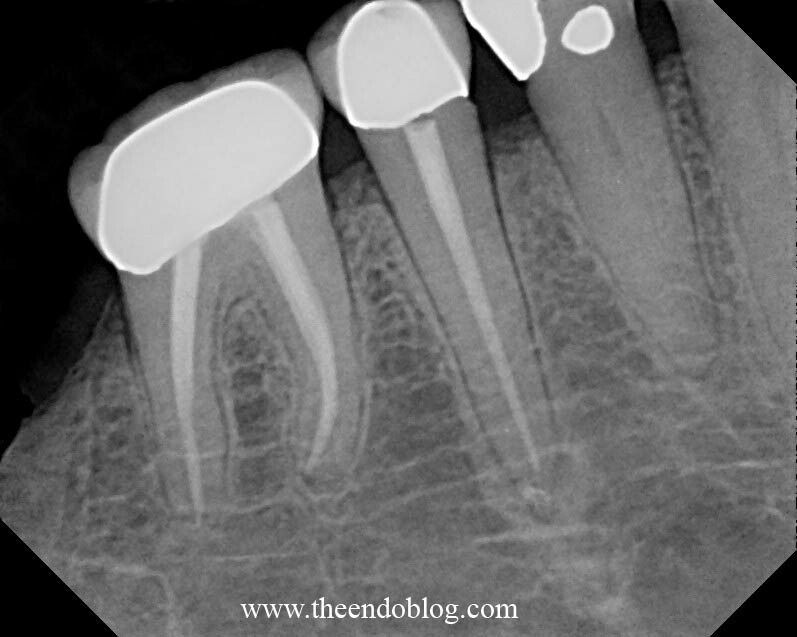 The root canal length was measured by an endodontist using an apex locator. This length was compared with a measurement taken from the CBCT in a vestibulo-oral and mesio-distal CBCT slices by an examiner not involved in the endodontic treatment. The Pearson correlation coefficient (r) comparing the the CBCT measurements with the apex locator was 0.97. The CBCT also showed higher intrarater reliability 0.99. With the incorporation of CBCT into our practice of endodontics at Superstition Springs Endodontics, we have found many uses for CBCT that we did not initially plan on. 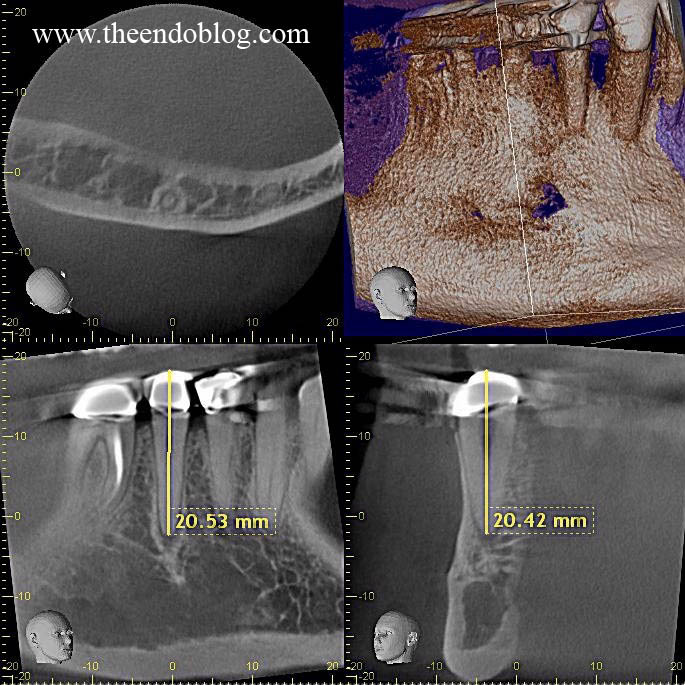 Length determination using CBCT prior to treatment is just another potential application of CBCT in endodontics. For a clinical example, let me share one of my cases that demonstrates both of these applications. Tooth #29 has what looks like a fairly normal pdl. Whild some condensing osteitis is noted, without symptoms, I would consider this WNL. CBCT clearly show periapical lesion on #29 with cortical plates in tact. A clear example of ability of CBCT to show more accurately the minor changes in the bone. With this added radiographic evidence, the tooth was diagnosed as necrotic pulp and endodontic treatment was completed. My working length was 20.0mm. After completion of RCT, I went back to CBCT and measured length, from coronal height to radiographic apex in a coronal and sagittal views. 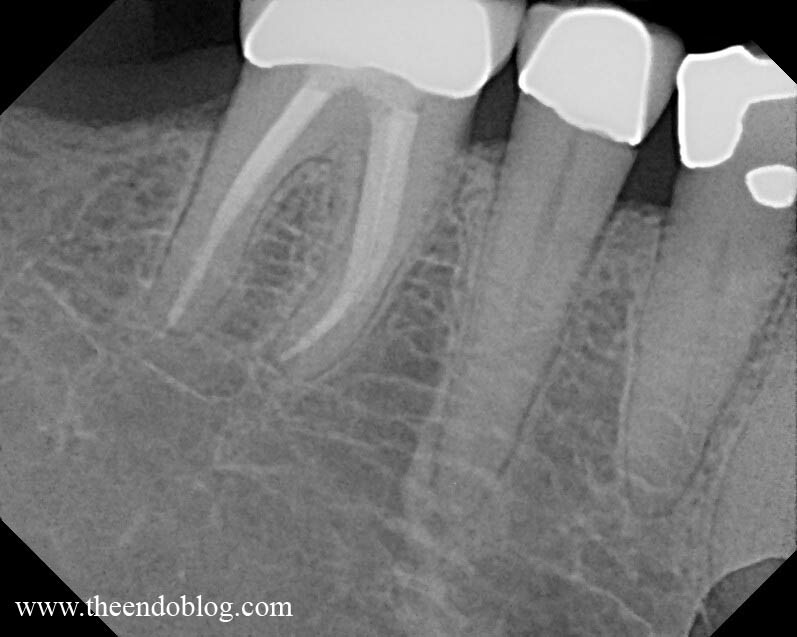 The length determined by CBCT was 20.5mm and my working length as determined by Root ZX - 0.5 mm short of apex - was 20.0mm. This particular case shows the ability of CBCT to help detect small lesions and determine working length. CBCT is the future of endodontics! Tsai P, Torabinajad M, Rice D, Azevedo B. "Accuracy of Cone-Beam Computed Tomagraphy and Periapical Radiography in Detecting Small Peripaical Lesions". JOE 2012, 38:7, p 965-970. Jeger F.B., Janner S.F.M., Bornstein M.M., Lussi, A. "Endodontic Working Length Measurement with Preexisting Cone-Beam Computed Tomography Scanning: A Prospective, Controlled Clinical Study". JOE 2012, 38:7, p 884-888. Wow! Great photos. Thanks for sharing. Use of CBCT is essential to successful diagnosis of endodontics. Advantages of CBCT has been acknowledge in many studies to treat root canal. Thanks for sharing this information.